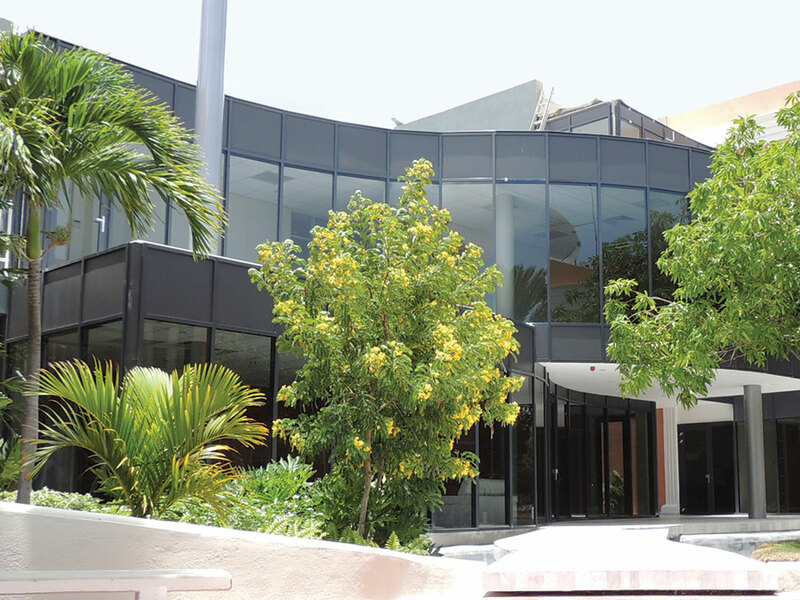 ICFs have been used on several high profile commercial jobs in the Caribbean in recent years, including the H.C. Moore Library, part of the College of the Bahamas in Nassau, Bahamas (this page), and the United Bank in Willemstad, Curaçao. 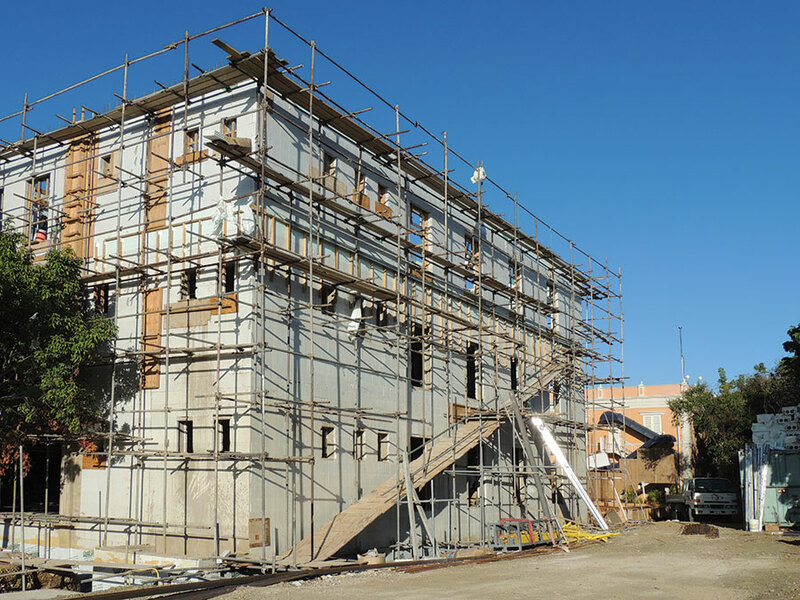 Insulating Concrete Forms (ICFs) are gaining market share not only in North America, but around the world. 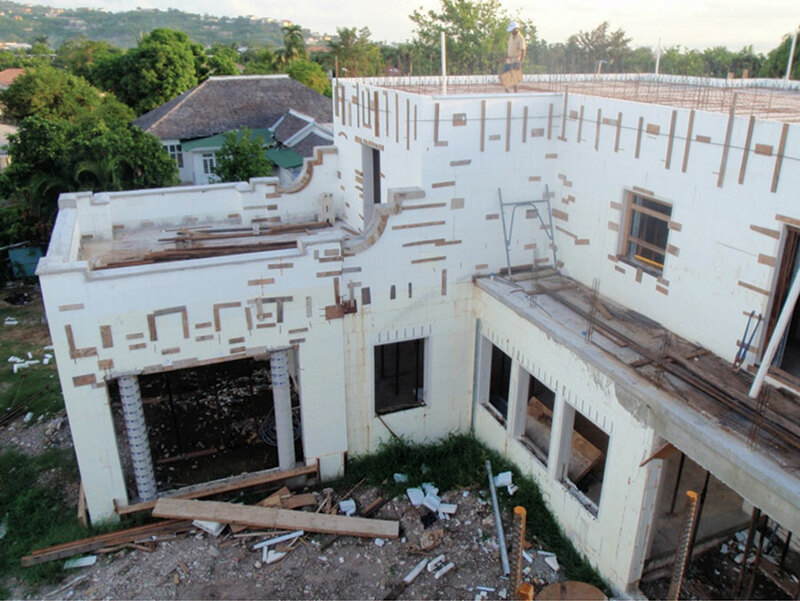 This fourth article in a series looks at the ICF industry in the Caribbean, where it already has some penetration. The region presents intriguing possibilities for the ICF industry. The climate—year-round heat and humidity—would seem to favor ICF construction, especially since energy costs in the region are extreme. Perhaps the greatest selling point ICFs offer to the area is their disaster resistance. All of the islands experience tropical storms with some regularity, and most are hit by a full-strength hurricane every few years. Additionally, earthquakes are a real possibility; a catastrophic 7.0 earthquake hit Haiti in 2010. Finally, the Caribbean has a well-established tradition of concrete construction—even for inexpensive residential projects. Raw materials for concrete and trainable labor are readily available too. The market’s proximity to North American manufacturing facilities makes it particularly attractive. Because of these factors, it’s no surprise that a significant number of projects have already been built in the area. There are, of course, challenges. Many Caribbean islands use the metric system, which creates difficulties for North American brands sized in feet and inches. 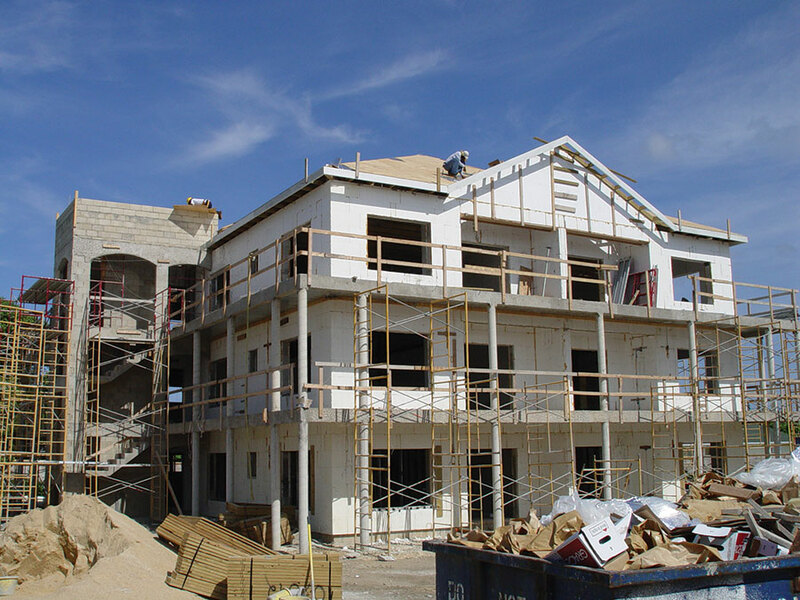 Bennion also reports that Caribbean is still in the midst of a major construction recession. Until recently, much of the high-end housing in the region was being sold to U.S., Canadian, and European retirees. But with the recession, many of these individuals’ have found themselves unable to retire, and the Caribbean finds itself with a surplus of high-end housing and developers are struggling to stay viable. 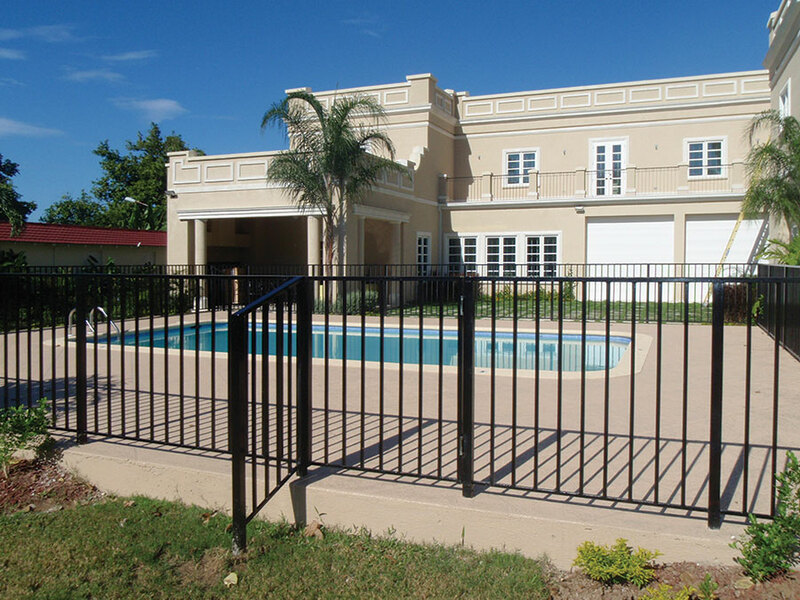 Unlike North America, where ICFs first gained acceptance in the residential sector, most ICF projects in the Caribbean are large commercial jobs. 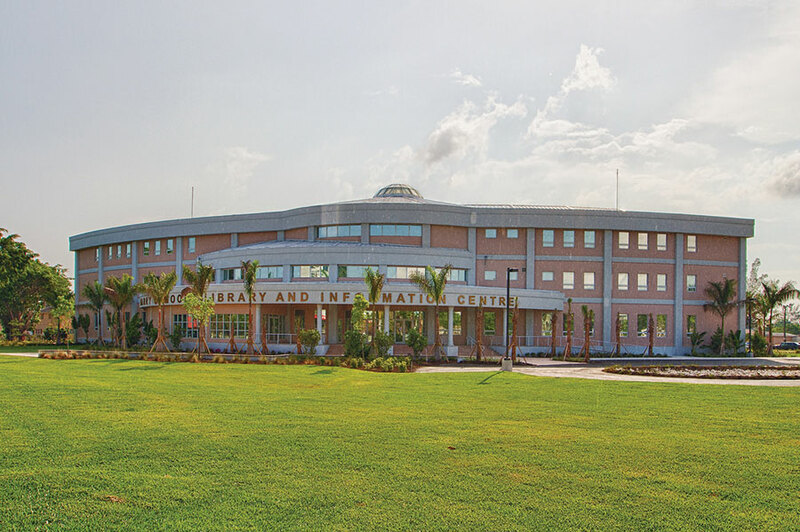 Several of these have been highlighted in past issues of this magazine, including the Willemstad Bank in Curacao that was featured last issue; and the H.C. Moore Library, part of the College of the Bahamas in Nassau, featured in the November 2012 issue. In both cases, the projects were designed as CMU, and a member of the construction team convinced the owner to flip the project to ICF. In the case of the library, the structural engineer was familiar with ICFs, and convinced a “very, very skeptical general contractor and project management” to allow him to stage a product demo in the contractor’s parking lot. Taking a radius wall with an integrated 2′ x 2′ column from the actual design, two men installed a twenty-foot mock-up five feet high in three hours. When he further showed how ICF would lower the entire project cost, the deal was sold. who ran an ICF company on the side—that convinced the owner that ICFs were a better fit for building a green, energy-efficient bank annex. stand tropical storms, monthly air-conditioning costs were reduced from $400 to $80 per unit. Construction in the Caymans—like elsewhere in the Caribbean—is driven by two high priority needs: safety and energy efficiency. 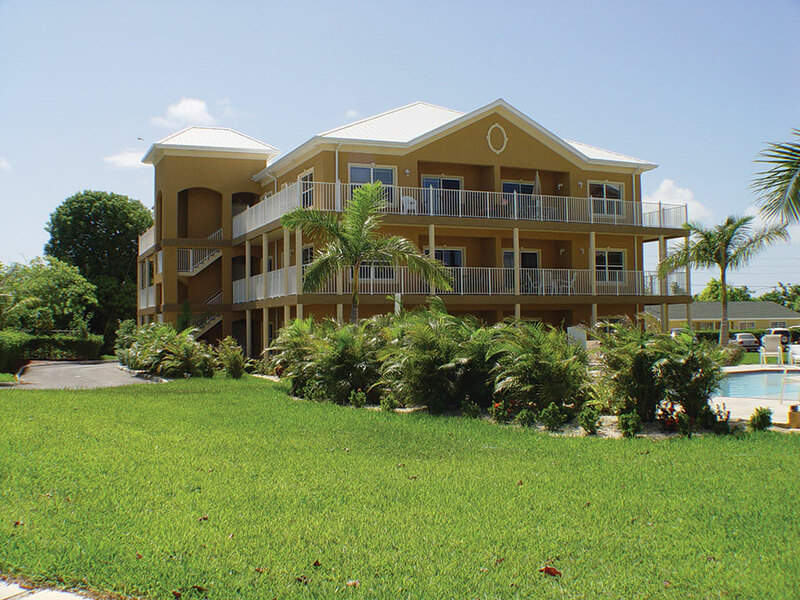 Hurricane Ivan destroyed much the island in 2004, and the owner wanted this development to be hurricane-proof. The temperature hovers between 80⁰F – 90⁰F year round, although the humidity sometimes drives up the heat index to 115⁰F. Electricity is diesel-generated and very expensive. 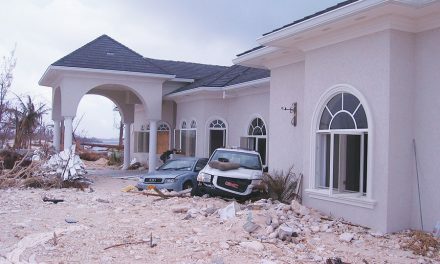 While ICF construction had been tried before on the island, installation errors had prevented its widespread acceptance. To ensure a trouble-free build, the general contractor brought in five experienced ICF installers, including Ian Giesler and Manfred Knobel. 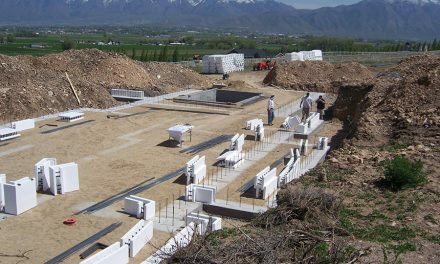 They chose to use BuildBlock, a “factory-assembled” ICF that eliminated the need to fiddle with ties, and could handle the logistical challenge of shipping product to meet the construction schedule. By using ICFs, monthly air-conditioning energy costs have been reduced from $400 monthly to $80 per unit. Obviously, energy efficiency was a major marketing point! But the European styling and elegant wrap-around balconies, and the hurricane-resistant construction also helped close sales. Because of cost and the cultural factors noted earlier, ICFs are rarely seen in residential work. One notable exception is Paddington #1, built in Jamaica’s capital city of Kingston in 2009. The 9,000-sq.-ft. home set a benchmark for its size, quality, and finishes. In addition to insulated concrete walls, floors, and roof, it features geothermal A/C, solar hot water, LED lighting, and high-efficiency, hurricane-impact-resistant windows. Like the condo project, the owner brought in an experienced installer from the mainland—in this case Ontario, Canada—to make sure the installation went smoothly, and used only the highest quality materials: Logix’s KD (knockdown) ICF for walls, Giraffe Bracing, V-Buck for window openings, and Insul-Deck for all floors and the roof. The builder estimates these materials added 25-30% to the project budget, which was about $200 per sq. ft.
After completion, the new owners held an open house, attended by numerous dignitaries and local officials, including several from the U.S. Embassy. They were so impressed with the project that they returned the next day and asked to lease the building. 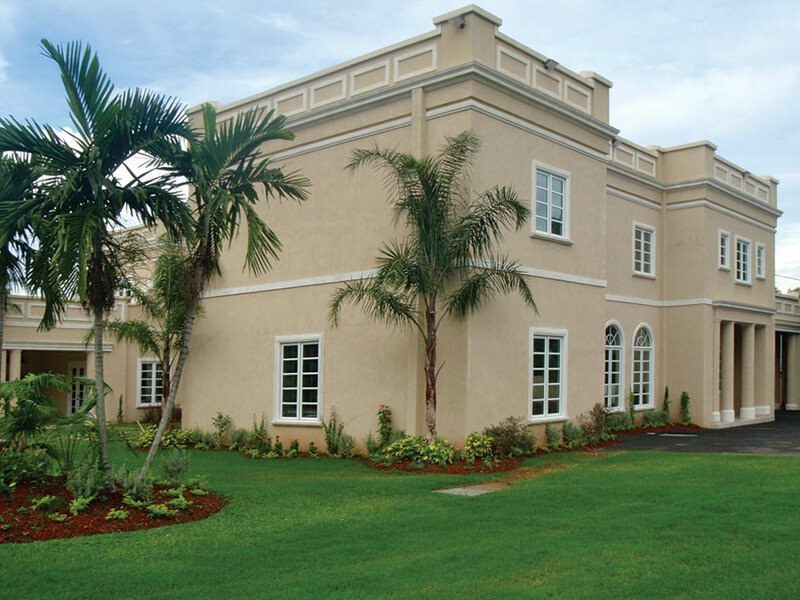 Five years later, it is still serving as the personal residence of the American ambassador to Jamaica. 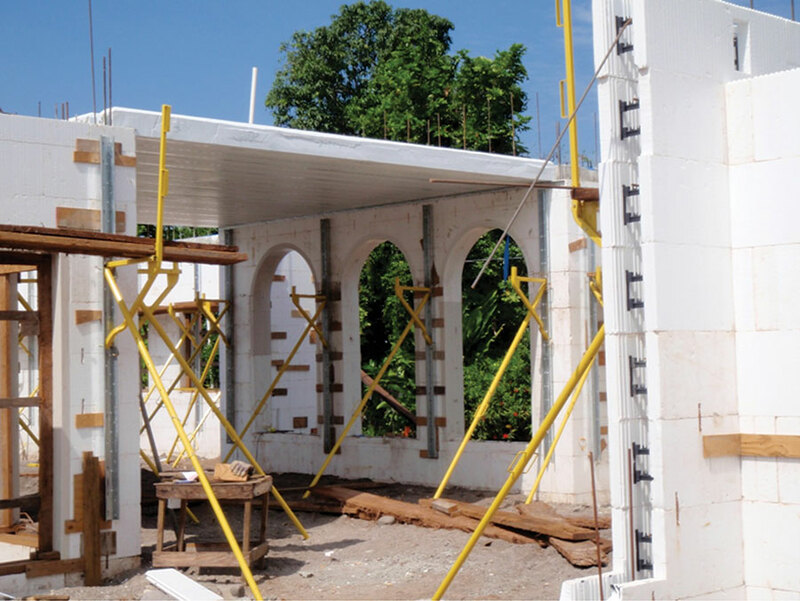 Clearly, the Caribbean has significant potential for the ICF industry, and much of the groundwork is already in place. 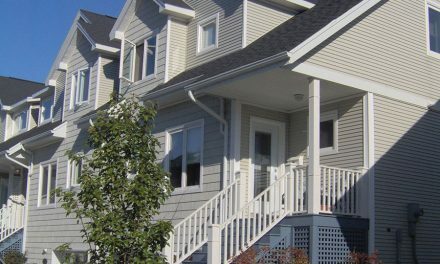 In many countries—the Bahamas, the Cayman Islands, Jamaica, and others—ICFs have overcome their previous reputation and are seen as a top quality building material for durable energy-efficient construction. Obstacles remain. 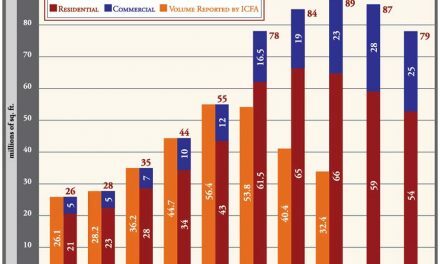 Bennion predicts ICF sales in the Caribbean “face a slow and costly journey for the foreseeable future.” Keys to continued growth include education, skilled labor, and working to mitigate the cost factors through careful value engineering.